There are many reasons for Bentonville homeowners to install outdoor lighting. Outdoor lighting provides an increase in safety, security, show cases the beautiful landscaped yard at night and provides ambiance. Nothing else enhances your landscaping, yard or garden at night better than outdoor lighting. Exterior lighting has a practical side too by marking the pathways or accenting a garden area. Get the full use out of your garden, yard, deck and patio area by adding decorative outdoor landscape lighting. Another great reason for exterior lighting is safety and security. It is important to design a lighting scheme that will the light steps and paths so that you and your guest can clearly see where you are walking at night. Our goal is to make you feel safer in your home. We look for poorly lit places where someone could hide. Not only does proper lighting deter prowlers, it creates a feeling of comfort for guests as well. Dark pockets in a yard can present an undertone of fear, whereas a well lit landscape provides a more relaxing environment. 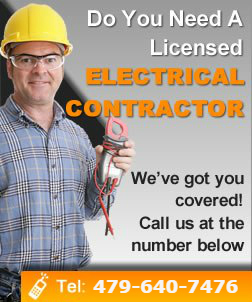 At Davitt Electric, our goal is that you will get full use out of your home. Our Bentonville outdoor lighting experts will be with you through every step as you customize you lighting scheme. Call today for a free quote with your Bentonville lighting expert.